Additionally, here are some other non-standard (i.e. 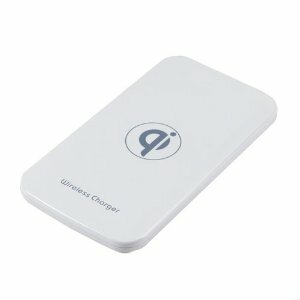 not like the most commonly referenced Duracell Qi Inductive Charger) Qi-charging products I found while doing my research. Some are quite expensive but I don’t see anyone else talking about them so these may be interesting for anyone wanting to stand out from the crowd. The most impressive of the lot is the Panasonic Charge Pad QE-TM101-W which looks very cool and has excellent reviews http://www.youtube.com/watch?v=wpSHJwiDfv4 ). I found it for around $50 at Amazon. The Symfos LED Tasklight which has a Qi charging base for your phone (I saw it as low as $200). It isn’t the cheapest but at least it looks nice and has a good light on it as well. There are several Chinese manufacturers offering slightly cheaper Nexus 4 compatible Qi-approved power mats for around $50. There you go, I hope that helps!! If it does please pass this link around! This entry was posted in My Gadgets, Technology and tagged nexus 4, qi wireless charger for nexus 4, qi wireless charging by rossdunn. Bookmark the permalink.